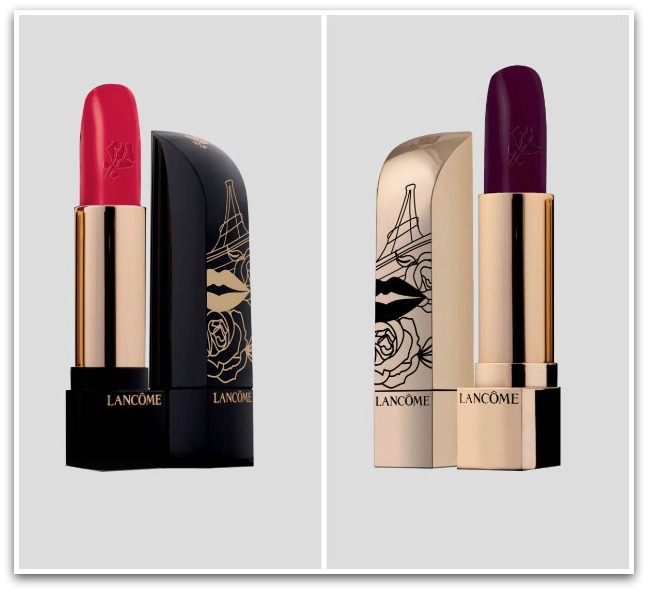 Dark, vampy lips are a big story for autumn and with their limited edition AW13 collection, Lancôme is right on the money. L’Absolu Désir is inspired by classic Parisian chic; the campaign features Kate Winslett shot by Mario Testino, and looking every inch the timeless Hollywood star. 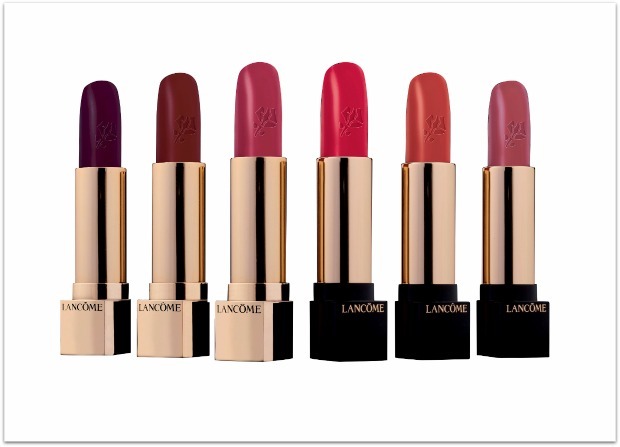 The collection is all about deep lips, a radiant complexion and perfectly manicured nails and is elegantly packaged in black and gold, branded with the silhouette of the Eiffel Tower as well as the Lancôme rose. What’s inside is lovely: six rich lip colours in shades of red and plum (€26), three dark and mysterious near-black shades of nail polish (€18) and the scene-stealing Rose Desir blush, created to complement the lipsticks in the range. While the price is fairly ouchy at €45, the coral shade will be flattering on so many skintones and, well, just look at it. What can I say - I’m a sucker for a pretty palette and Lancôme are the absolute masters (see some previous favourites here and here). I’m heading to the French capital myself in the morning so this collection is really resonating with me right now. The orangey-red lippy, Caprice, will definitely be mine when it hits counter in September, and I’m very interested in checking out those nail colours, too. What about you – is anything catching your eye? I like the look of that Caprice lipstick. Kate Winslet looks amazing and so does all collection. That gorgeous blush compact has totally caught my eye! Have a fab time in Paris Emma! Oh my, they all look amazing! 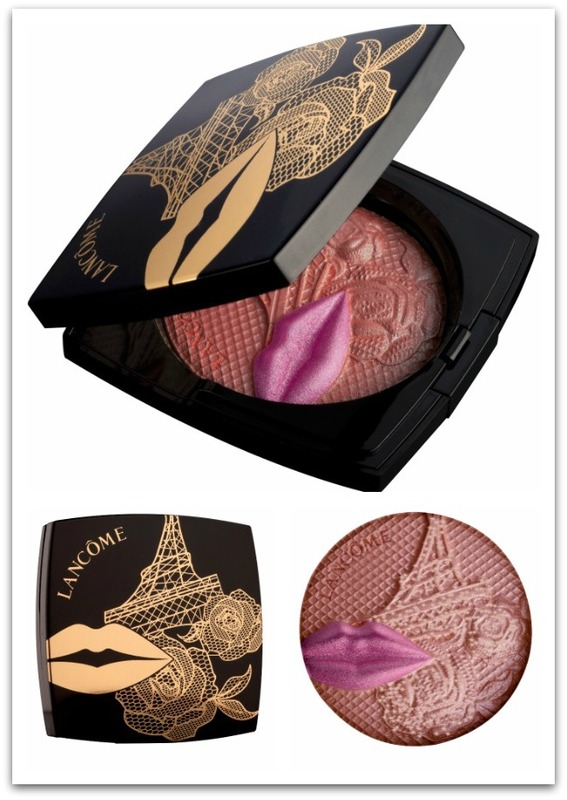 Lancome have done it again with the packaging! Love this! I forgot to tell you I picked up one of the Alber Elbaz limited edition palettes after reading your review of them. It's so pretty! Gorgeous lip colours. For the nails my heart belongs to Chanel!! the palette is lip catching to me! hahaha gorgeous :D lancome makes really good products. I'm in love with Prune Desir! And I love Kate!! Kate looks so lovely here, have to have that gorgeous blush compact! Loves!Have a fab weekend hun! I love the colour she`s wearing in the top left corner! The whole collection has amazing shades - looks great! Thanks for sharing! Loving these bright and saturated colors. But I will need to get my teeth whitened before I feel comfortable wearing them. 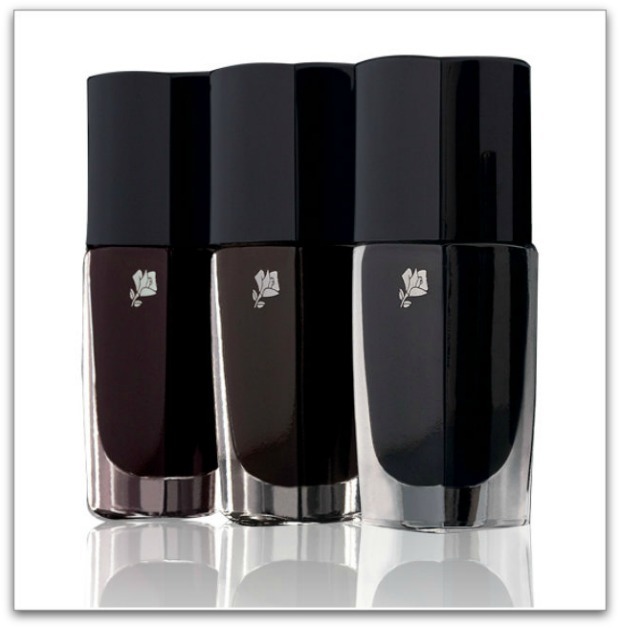 I have been a long-term Lancome fan and I'm really excited to read about these new products. The nail varnishes look really tempting. When I grow up...I want to look as amazing as Kate. She is just stunning and those palettes are so luxe. Kate looks really amazing, love these shades. Have a really fabulous day! Attending a cocktail party or a social gathering that calls for wearing a formal cocktail dress gives women a great opportunity to show their femininity and appear provocative.Wearing a cocktail dress is quite appropriate for fancy parties, opera or ballet, weddings and formal dinners.